I hope you have all enjoyed your summer holidays and are raring to go for the start of the new school year. Please check this page for updates. I will be posting the Autumn overview in the next couple of days. If you share this book with your child please come in and celebrate with us, your child will then receive a certificate in assembly and be entered into our termly raffle to win a £20 voucher. In Science we have been investigating materials. We have designed and made houses to withstand flood water. Our houses needed to be waterproof, strong and stable. We made predictions and then tested them out by putting them in a tray of water and pouring water on. We were surprised at how waterproof some of them were. Scroll down the page to see photos of our houses. Please scroll down the page to find our weekly blog. The blog will keep you informed on all the fun things we have been doing in year 5. The blogs will be written by two different children each week so keep an eye out! PE is on Thursdays and Fridays. 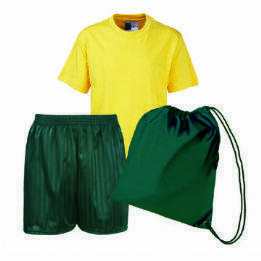 Please ensure that your child has full kit for these days so that they can take part. On Friday mornings the children will be working with Mr Lofthouse. Homework will be given out each Friday and this is due in the following Wednesday. Each member of year 5 has been given a Maths booklet and they will complete questions from this each week. Spelling- spelling books will go out each day and the children will be tested on Fridays. In Science we have been learning about materials. We have also looked at the effects of flooding in different parts of the world. We designed and made houses which would be waterproof, strong and stable. We then tested the houses by putting them in a tray of water and pouring water on them. We were surprised at how waterproof they actually were. Year 5 Writing - All the learning objectives for Year 5 Writing. Year 5 Reading - All the learning objectives for Year 5 Reading. Year 5 Maths - All the learning objectives for Year 5 Maths.